Grain protein based vegan / vegetarian meatless ground "beef." Redi-Burger comes out of the can as a loaf. Slice for burgers, or break apart in a pan for ground "beef." Great for burgers, tacos, casseroles, and sauces! Heat and serve. Each 19 oz. 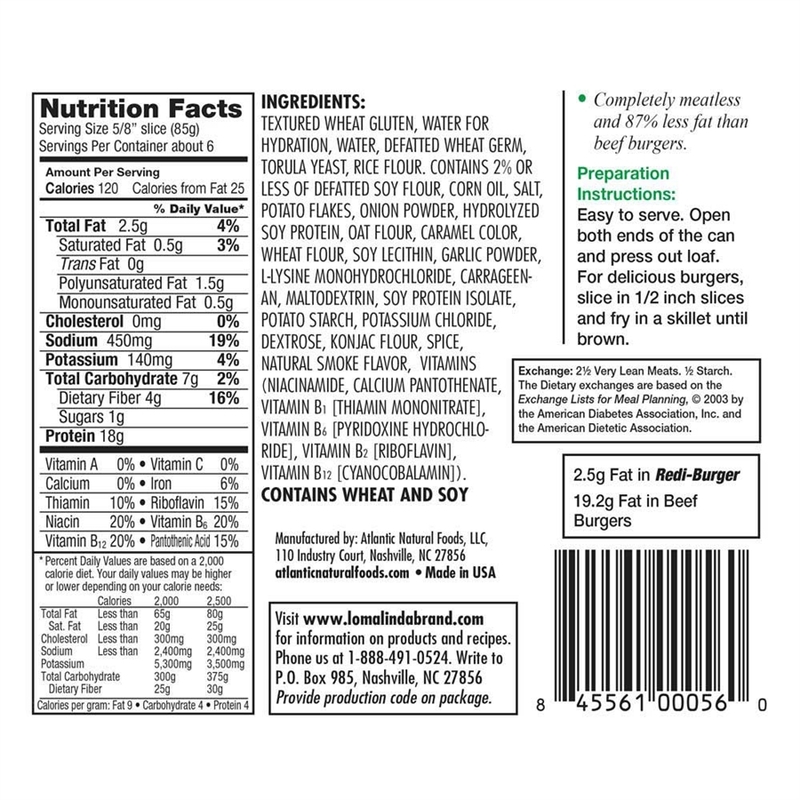 can contains about 6 servings of pre-cooked burger.